Thank you to all the students who attended the MSSL Meeting. Thank you to Manak Khamvongsa, SCV MTAC Branch MSSL Advisor, and to Susan Carpenter SCV MTAC Branch Community Outreach Chair, for presenting and helping at the meeting. MSSL is planning to help at upcoming Branch Community Outreach events, and are planning to host events for the SCV MTAC. 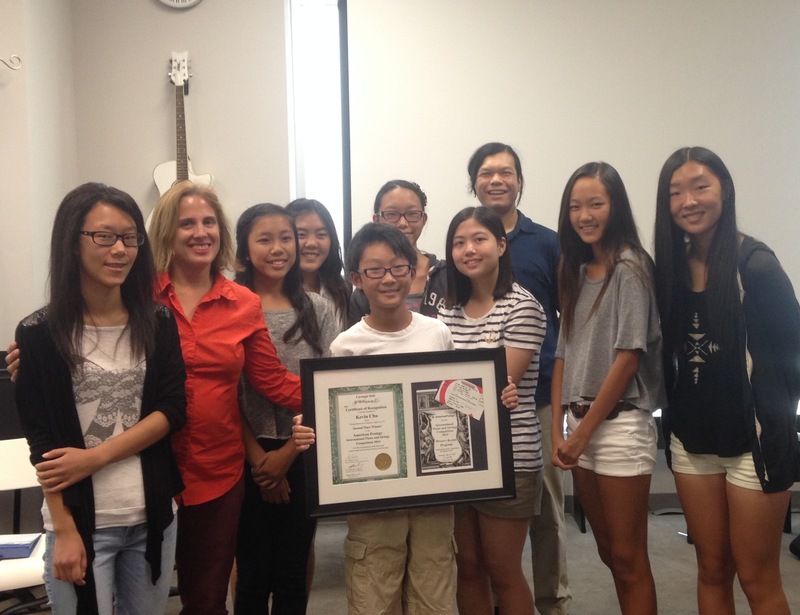 The SCV Music Student Service League invited Kevin Cho to be our guest speaker at our meeting. Kevin played piano at Carnegie Hall May 24, 2014 at the age of 11. We thank Kevin for sharing with us his experience through a magnificent PowerPoint presentation of pictures and an excellent talk about his days there in New York. Thank you Kevin!